On the Isle of Tiree you always have at least one eye on the weather. 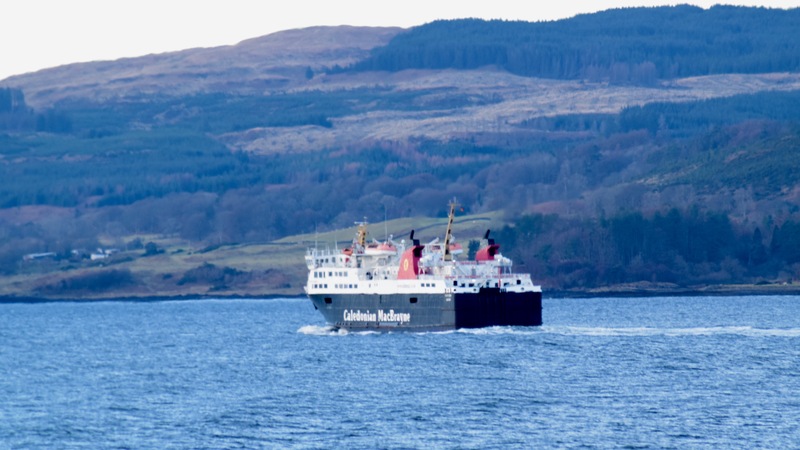 The original plan was to cross to Oban on the Tuesday Ferry. But winds were forecast to gust around 40mph on the day. So the decision was made to travel a day earlier. Monday turned out to be a great day to travel. It began with another great sunrise over the Passage of Tiree. Once again the Paps of Jura were radiant in the early morning sun. 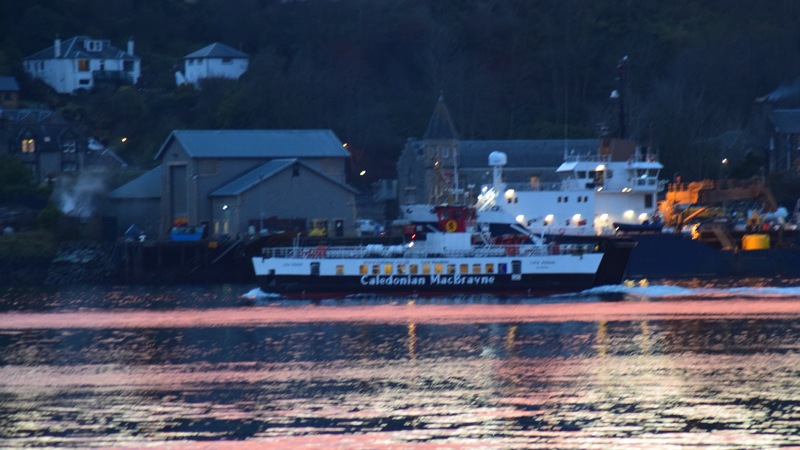 The MV Clansman berthed right on time. “As a child I hated standing here. Now that they were living on the island it was different. 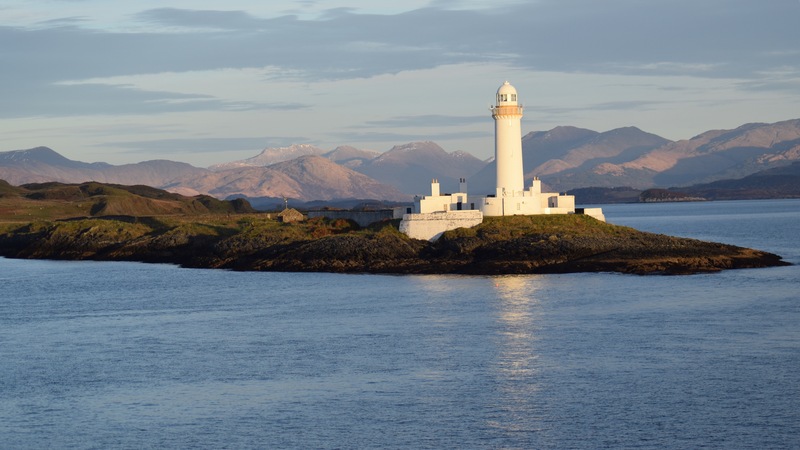 They knew that they would returning – Tiree is now their home. From the ferry neighbouring islands look different. Today everything was bathed in sunshine even if it was cold. The Pier Office on Coll has a distinct feature. it carries a name board where it is written large, ‘COLL’. There is a unusual feature that many miss. It is a whale’s jaw bones. In the Sound of Mull we sighted the MV Isle of Lewis. She was bound for Castlebay on the Island of Barra. 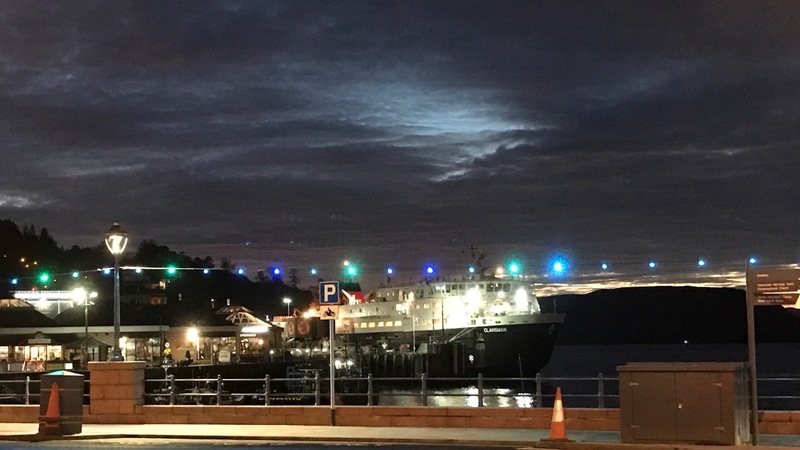 She had earlier left from the Oban Ferry Terminal. She cannot visit Tiree having too great a draught. To starboard we caught sight of the MV Hebridean Isles. She was berthed at Craignure on the Isle of Mull. 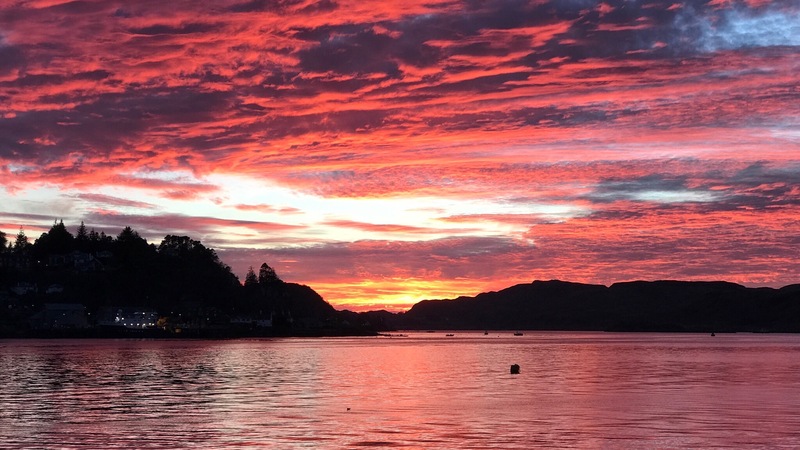 Later we would see her in Oban Bay. 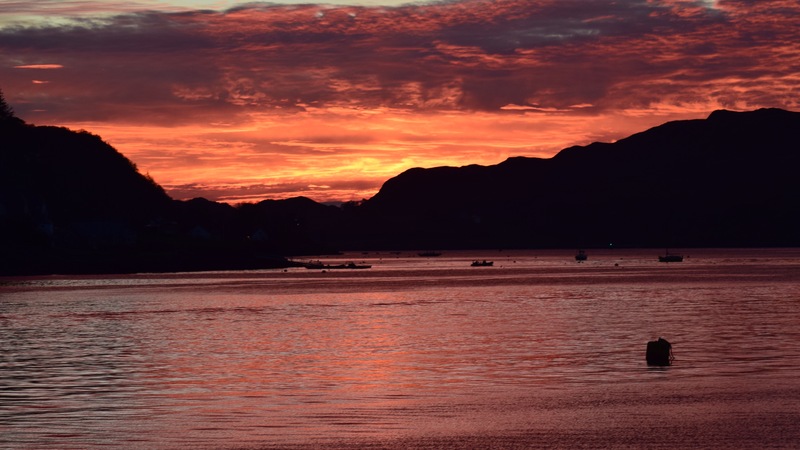 As we entered Oban Bay the sun was setting. 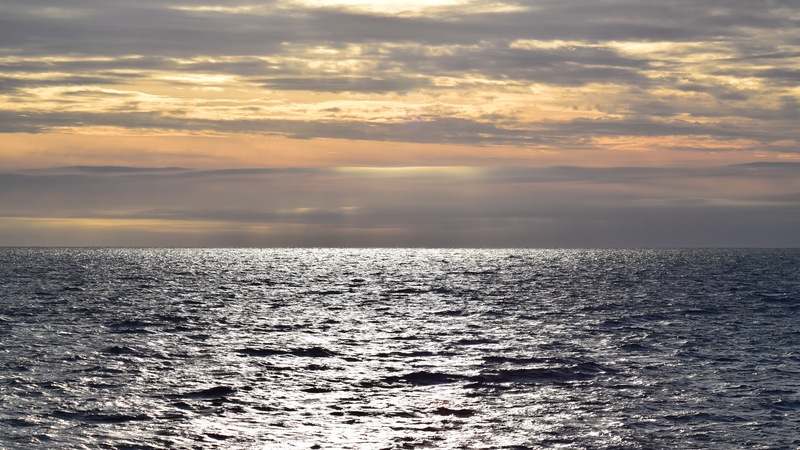 to photograph a glorious sunset transforming sky and sea. Where ferry travel is part of island life. Not just any island life – but life on Tiree.